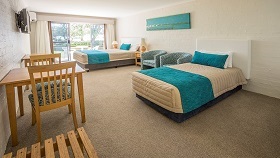 Mollymook Shores provides a variety of accommodation, catering for couple and for families. 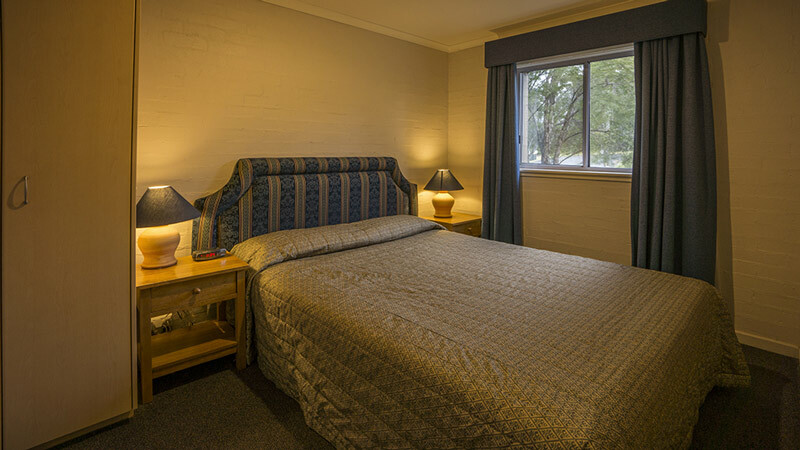 Room configuration: Single room with queen-size bed and en-suite (most with showers over full-size baths). All studio rooms have garden views – most are situated on the ground floor. 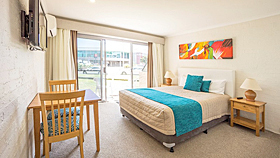 Room configuration: A combined bedroom and living area with a queen-size and single bed, and an en-suite with shower over full-size bath. 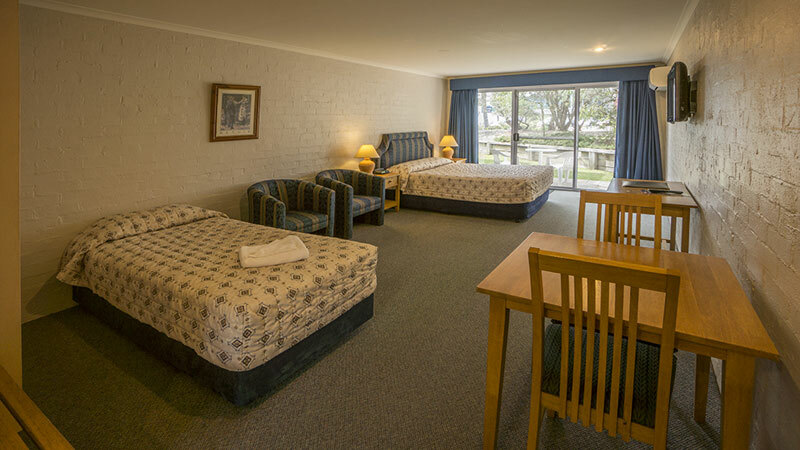 All standard rooms are ground floor garden view rooms. Room configuration: Suites feature a bedroom with queen size bed, an en-suite with shower over full size bath and a separate living area. Suites are situated on both the ground and first floor; those on the ground floor have a terrace instead of a balcony. 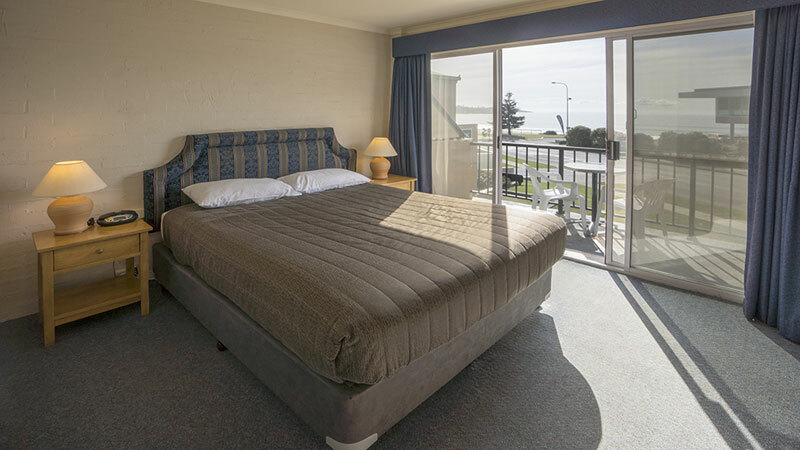 Many suites enjoy ocean views, whilst others have garden views. Room configuration:Fully refurbished Deluxe Spa suites feature a bedroom with a king-size bed, a large bathroom with a two-person corner spa, stand-alone shower, and a separate living area with a kitchenette and sofa. Room configuration: These suites feature a bedroom with queen size bed, an en suite with shower over full size bath, and a separate living area with a single bed and a lounge. 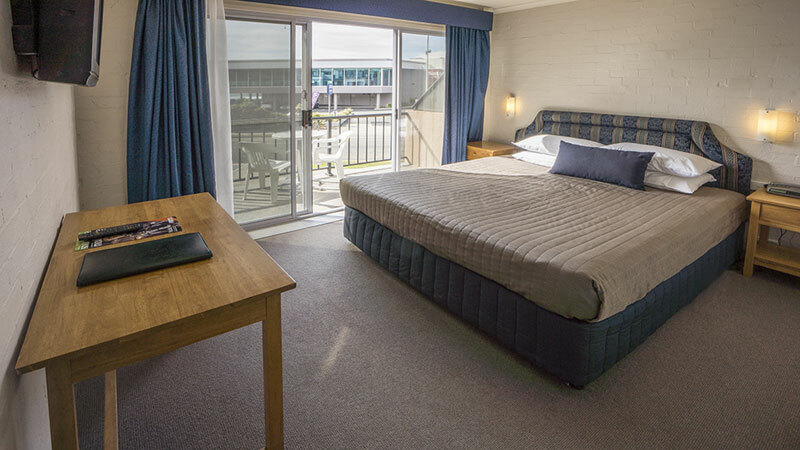 Twin suites are situated on both the ground and first floor; those on the first floor have a balcony instead of a terrace. Many enjoy ocean views, whilst others have garden view. 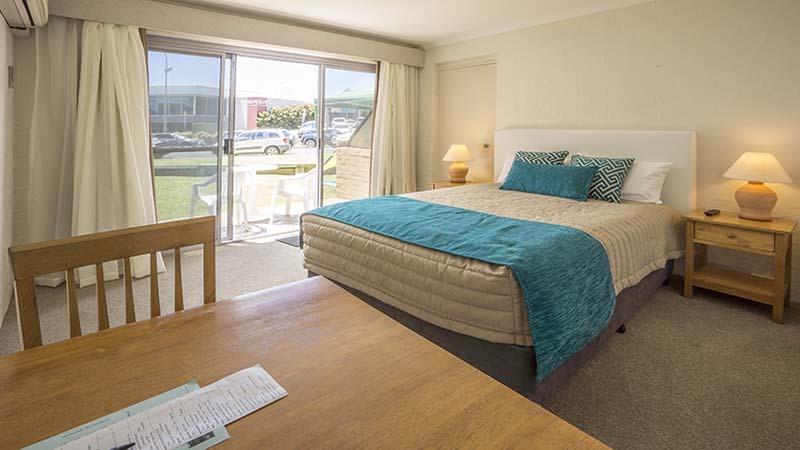 Room configuration: These suites feature a bedroom with queen-size bed, an en suite with a shower over full size bath, and a separate living area with two single beds. 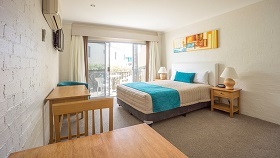 Triple suites are situated on the ground floor only. Some enjoy ocean views, whilst most have garden views. 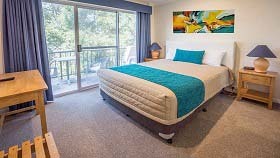 Triple suites are often sold at the 3-person twin suite or 2-person suite rates when availability necessitates. Room configuration: Ultramodern suites consisting of a queen bed in one room and separate lounge dining area. Renovated bathroom with walk in shower, kitchenette with jug toaster and microwave, coffee making machine, ipod docking station. 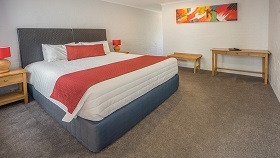 Room configuration: The Motel has one self-contained apartment with two bedrooms (one queen size bed and three single beds), bathroom with shower over bath, separate lounge area and fully equipped kitchen. The apartment is serviced daily. 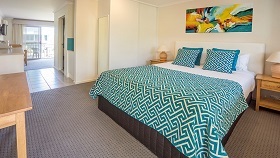 A minimum 2 night booking applies to the Apartment. 1 hour free WIFI is available to all rooms on check in.